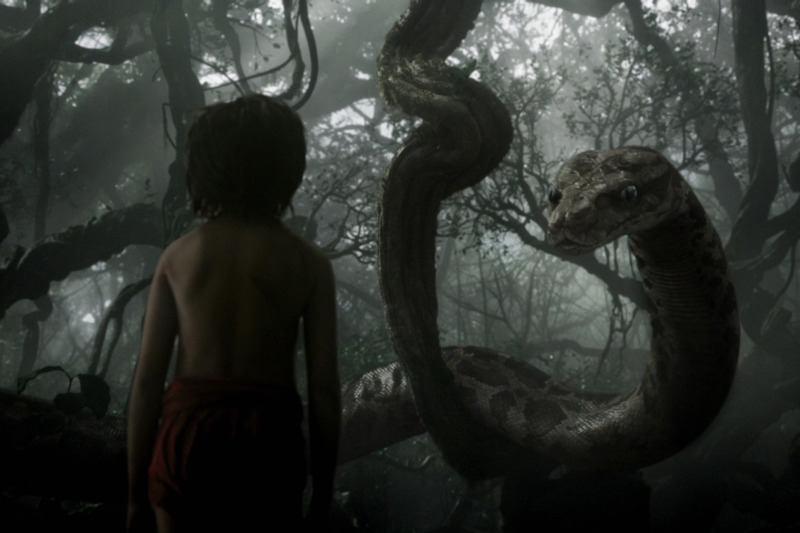 As a big fan of the 1967 original, this newest version of The Jungle Book had to be amazing to impress me. And I can't have been alone in that either; though not the Disney Princess classic that first comes to mind, this film is still one of those stalwarts many of us grew up watching on repeat. The songs, the characters, the perfect moments that we still quote to this day; there's a lot to live up to if you're brave enough to try your hand at a remake. Jon Favreau wasn't scared apparently, taking on this project though he's more an actor than a director, attempting to build his resume on top of Iron Man and Cowboys & Aliens. Give the guy some credit; he and team Disney built the picture, got both critics & audiences on board, and already have a sequel in the works. But did it impress this old-school fan, and will it entertain you? Mowgli the man-cub, raised in the jungle, part of the pack, but never too far from the roots of his species and their inherently destructive tendencies. The story of Mowgli's childhood is well-known; found by Bagheera the panther, raised by Akela the wolf, despised by Shere Khan the tiger. Mowgli is growing up fast, and can no longer be kept safe in the jungle where not everyone is glad to house a human. So he & Bagheera set off for the man village to find the boy a safe home, despite that very boy's protestations. 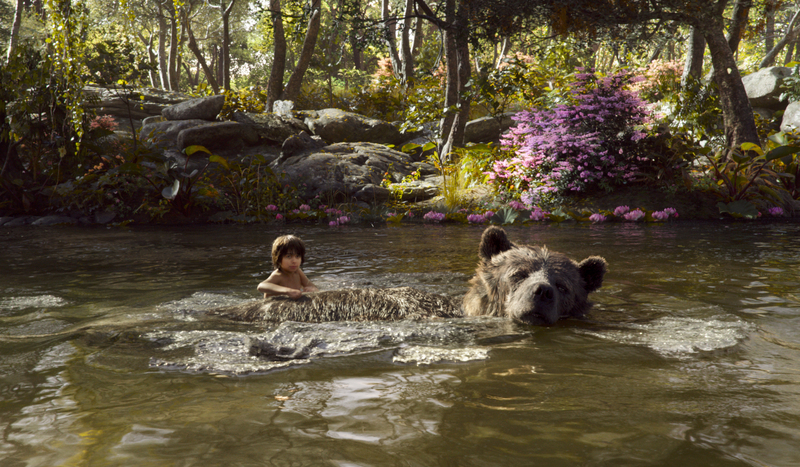 Along the way, Mowgli will meet the infamous Kaa, the lovable Baloo, and the insane King Louie, finding out more about himself than he ever dreamed and more about the jungle than he ever dared to ask. Impress? Not completely. Entertain? Definitely yes. So let's start with a positive that is actually a veiled negative and say that the animation is impressive beyond a doubt. The simple fact that these images can be made by humans, flashed before my eyes, and that my brain can hardly discern their reality is proof that something phenomenal is happening. The animation was stunning, and not in a Pixar way, but in some form much more vivid & awesome. But the reason I call this a backhanded compliment is that it was perhaps all that impressed me about this film. 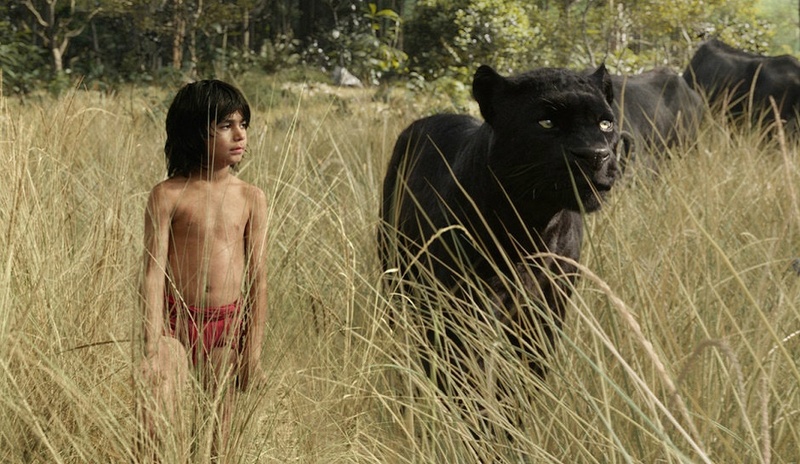 The boy who played Mowgli definitely didn't win me over; I kinda wish he had been animated too. And the cheesy pack motto chanted under stirring music in the face of all odds; come on. Combine the kid, the sap, & what I thought was unnecessary revamping of the original music and you've got a film that got under my skin far too often. But, luckily, the animation wasn't the only positive aspect of the movie, just the only stellar one. The next biggest plus was the voice-over work. I wouldn't have guessed that these actors would be the perfect voice matches for these animals, but they somehow were and it somehow worked splendidly. Ben Kingsley can be a little annoying & dramatic, but he was just right for Bagheera. Bill Murray was both goofy & lovable, the epitome of Baloo. ScarJo as Kaa had a surprisingly small part in the story, but it was creepy & cool. And lastly, Idris Elba, whose performance as Shere Khan was uncanny, as was the animation of the tiger itself. I hope I've been clear that, while not singing its praises, The Jungle Book succeeded in many areas; the visuals, the voices, even the nod to old Disney. But it was far from perfect; the kid, the cheese, the unnecessary songs. Taken as a whole, a bit of a mixed bag, but an enjoyable one nonetheless.